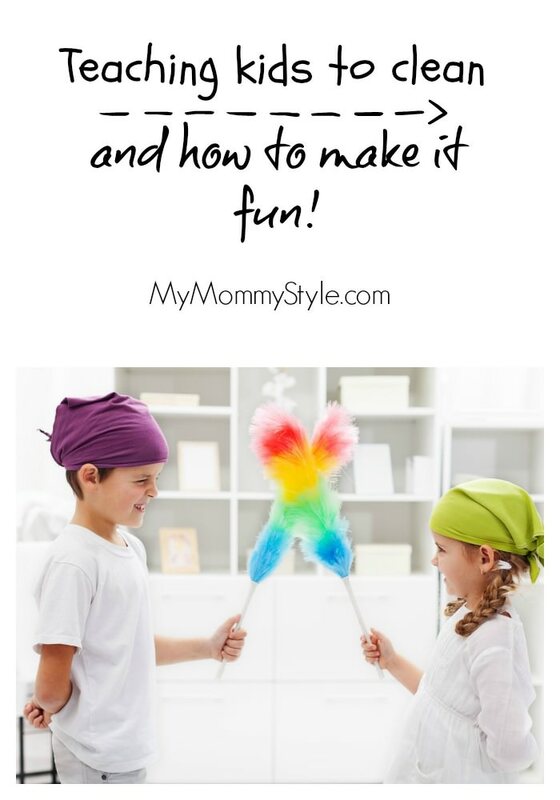 Mother’s Day: The Gift of Clean: Teaching your kids to clean and how to make it fun! Can I make a confession? I loathe deep cleaning and many times surface cleaning. I feel like I can keep up with the basics of dishes and laundry but getting a really good clean on the floor or in the bathrooms can be beyond my energy level quite often! I just paid a cleaning service to give my house a nice, deep clean. Last week I went through tonsillitis that my doctor told me was most likely mono. Which if you ever did find yourself with mono, here is a post on helping you recover. I almost completely lost it in his office because no Mom has time for mono, right?! Thankfully the test came back negative and after a week of zombie-like life I am feeling much better. I think my husband must have felt bad for me because when I asked him if I could have a cleaning service come he agreed. What I need help with more than anything is cleaning the house and getting out of the daily grind of feeling like I have to do it on my own all the time. Did you know, according to a recent survey, 75% of moms would prefer a clean home on Mother’s Day to being served breakfast in bed. In addition, 60% of moms would most prefer a clean house over other gift options like candy, flowers and a card…I definitely fit in with this group. This Mother’s Day I am asking for just that, help with having a clean house! Now a bucket of cleaning supplies may not go over well unless there is promise of help of using said cleaning products for Mother’s Day! Teaching your kids to use the products can be half the battle but is definitely worthy of taking the time to teach them and a lot more affordable than hiring someone to come do it for you. Also, if you are looking for some darling “coupon book” printables I found some I LOVE at TidyMom.net! First things first…make sure your kids know HOW to clean. Make sure your home is not too cluttered to be able to clean~ Sometimes we simply have too much “stuff”. If there is too much stuff, it is too overwhelming for a child to clean, so make it easier on them. Make sure the child is trained to clean. Too often, it is easy to assume a child knows how to do a simple task because of their age, but don’t assume they know what to do until you train them. Be willing to work alongside your kids. The old saying of “Monkey see, Monkey Do” really does apply. A child is much more likely to engage in and enjoy cleaning if they see you working right alongside them no matter their age. Pick a system that works for you, but be willing to be flexible. Age based expectations apply and can give your child a feeling of accomplishment if you can recognize and reward them for their efforts. Everyone wants to be appreciated for the work they do no matter their age. Help your children feel successful in pitching in and helping around the house. Kids love love love clipboards! You can create cute clipboards for each child and put their cleaning list on a clipboard. You can use pictures for little ones and lists for bigger kids. The kids love checking off their items and using a clipboard makes them feel like an adult. Clipboards can be used with cleaning checklists or room by room checklists…cater this to each child or have a family list. You can also use clipboards to make a check off list for dinner. We love this one put together by www.smallfryblog.com. • Includes Responsibilities, Behavior, Goals, Practice Time, and much much more. No need for separate goal charts, behavior charts, chore charts, etc. Give your children an area that they are responsible over in the house. They get better at cleaning “their space” and will also take ownership for it. Use the “LabTimer Apps” on your ipad if you have several kids or use it on your phone if you have one child. If you decide to present this idea, I would have an ipad in the classroom to show the ladies how it works. In behaviorism, positive reinforcement occurs when a reward, sometimes called a reinforcer, is given for a specific desired behavior. Other behaviors, even those that are negative, are simply ignored. Over time, this will lead to an increase in the desired behavior. Find something that your child/children are passionate about and cater a chart to fit those needs. It could be a mixture of desired behavior or duties but make sure to be consistent and recognize the behavior you want to encourage. Final Notes: Don’t worry about doing everything “right” when trying to find a system that works for you. It can be trial and error family to family, kid to kid. But do your best to stay consistent with whatever you decide works for you. 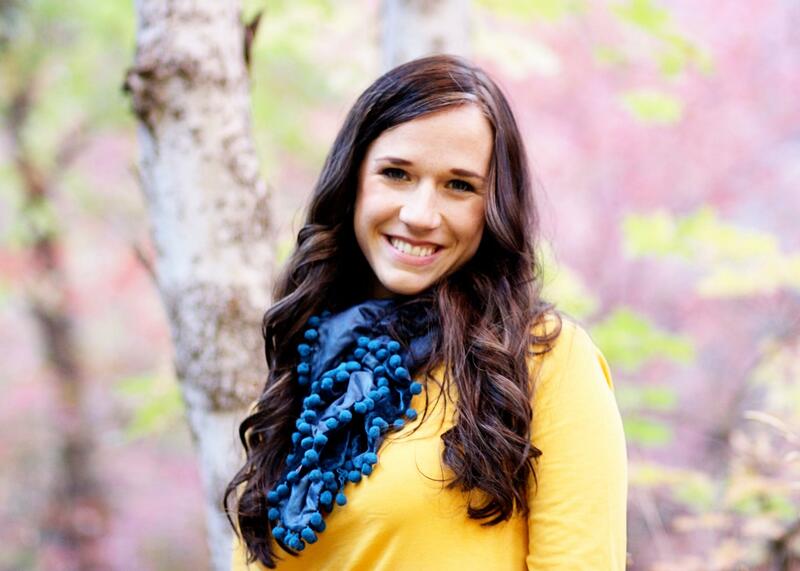 **Special thanks to Kate from www.familydodots.com for sharing her wisdom with us. When was the last time you had someone clean your house? 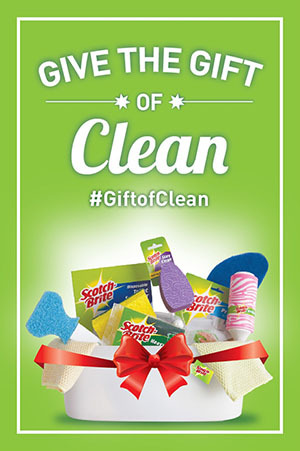 Join me tonight along with Scotch-Brite, for a #GiftofClean Mother’s Day Twitter Party! Looking for some more cleaning tips? You can find our Spring Cleaning Check list here or find amazing check off lists, how to’s, and more at Scotch-Brite.c0m. So glad to hear your mono test came back negative!! it’s so hard when Mom is sick! Thanks so much for the shout out on my printable coupon book!